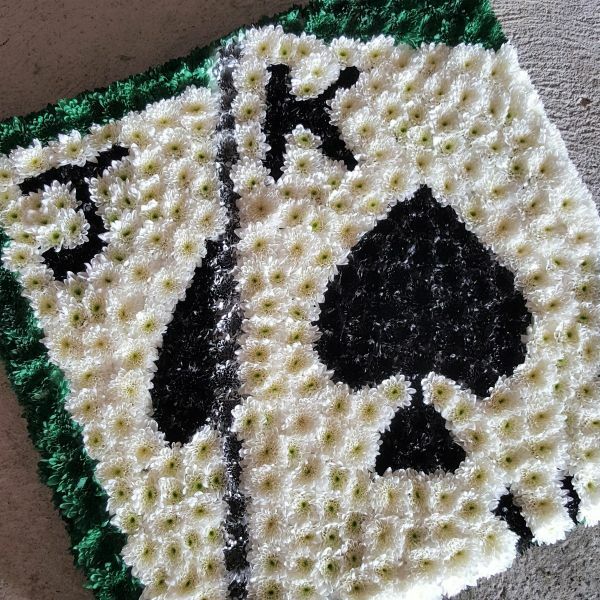 Jack, King or Queen, celebrate the life of a card game lover with this wonderful deck of cards style tribute. Roulette, Black Jack, Poker, Rummy, Trumps - whichever their game of choice we can accommodate any personalisations you wish to this tribute. This tribute sits approximately 20 inches / 50 cm diameter.